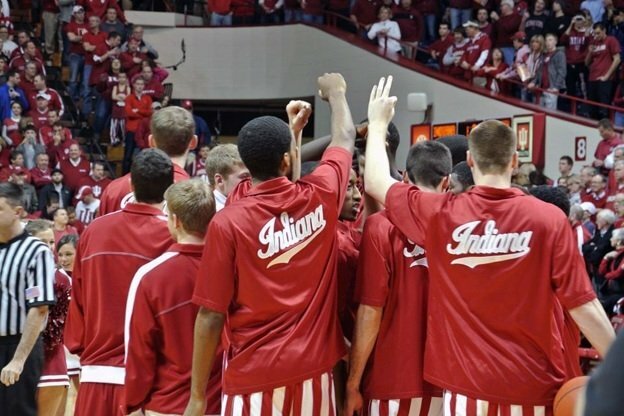 What does Hoosier Nation mean to you? Indiana University Athletics posed this question in a tweet over the summer to its passionate fans, curious to see how they would respond. Open-ended, simple and to the point, Indiana University Athletics would soon find out that sometimes a simple question can generate answers compelling enough to script an entire video. In watching the video, it isn’t immediately apparent that the video was crowdsourced from 27 fans on Twitter. There are no Twitter graphics, usernames, or quotes called out until the ending credits. Instead, different fan stories are shown as scenes, from the farmer in his tractor, to the fans dressed up in team gear at a bar, at work and in remote locations. All in all, the video offers a moving narrative from start to finish that makes even a non-Hoosier understand the passion for the team and coming together to be part of something greater than themselves. The end reveal of being inspired by fan stories adds a special, personalized layer, especially to an audience united by their love for Hoosier Nation. It showcases that the video producers, Blueline, who oversaw the strategy and script development, took to heart that it’s more than just a game. It’s evident that the players, the University and the people cheering them on – both near and far- that truly bring Hoosier Nation to life. Don’t Just Build Tribes & Movements – Keep Driving Their Passion. Marketers always talk about building passionate communities and brand advocates. This video is an important reminder to pause and think about how we will continue to engage them once they’re part of our tribe. Companies need to be an active member of the tribe with content, stories, programs and other incentives that add value. Hoosier Nation is lucky to have a massive, highly engaged fan base, but what keeps them coming back for more is the great content, stories – and hopefully quite a few wins – that remind them why they’re part of the movement. Disclose How Tweets Will Be Used. Anytime you crowdsource content or stories from fans, clearly disclose how the submissions will be used. It’s also important to think through a way to celebrate contributors and keep engaging with them. You want contributors to be happy with the end product, after all, so even offering them a sneak peek is a great idea, such as hosting an exclusive event to debut it to them first. Once the video is released, you will want contributors to help future spread the message, video, etc. to their network as well. The video was released on October 26th during “Hoosier Hysteria,” an open practice symbolizing the kickoff of basketball season. It capitalizes perfectly on conversation and excitement around the season. Budget permitting, it may also benefit the team to consider amplifying the content to ensure that the target audience sees it. Other non-paid methods, such as the team website, e-mails, Hoosier Nation fan groups and social media communication’s are also good distribution vehicles to consider.